Bodog.eu was founded as early as 1994 by famous online gaming mogul Calvin Ayre. It was one of the first sites that offered online poker for real money. Bodog.eu Poker is part of the Bodog.eu group, which also incldudes a big online casino and sportsbook client as well as a couple of media outlets. When Black Friday hit in 2011, Bodog Poker made the decision to stay in the US market and became one of the biggest online poker rooms in the USA. 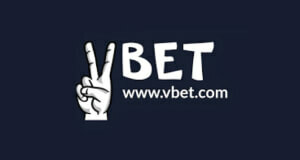 They are known for their great Bodog.eu rakeback and promotions and bonuses as well as a wide selection of games. The Bodog.eu Poker Network was recently rebranded to PaiWangLuo network and consists out of four online poker rooms – Ignition, Bodog.eu, Bodog.com and Bodog88. Among those, each is focused on a particular market, Canada is the main focus of Bodog.eu. Please read our in-depth Bodog.eu Poker Review including all important criteria such as Software, Traffic, Competition as well as Bodog.eu Rakeback and Poker Bonuses below. Below you can find an overview of current and available offers at Bodog.eu Poker. We have tested the ins and outs of Bodog.eu Poker as we have been grinding a lot there ourselves. Bodog.eu Poker client and its software are well developed and modern. 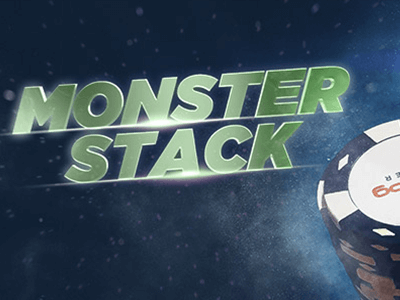 Their strong point is definitely their MTT schedule that offers huge guarantees with some of the biggest weekly tournaments available in the online poker industry. In case you have any questions or are looking for a custom deal, feel free to contact our support. Also please leave a comment and let us know about your experience playing on Bodog.eu Poker. How to open an Account at Bodog.eu Poker? We wanted to make the process of opening an account at Bodog.eu Poker as simple as possible for you. That’s why we have prepared this step-by-step registration guide that will help you set up your account and claim the 100% UP TO $1,000 FIRST DEPOSIT BONUS in no time. Please delete Cookies (important) and then CLICK HERE to start the Bodog.eu Poker registration process. You will be redirected to the Bodog.eu Poker website where you should click the “Join Now” button that you can find in the top right corner of the screen. After your account at Bodog.eu Poker has been successfully set up, its time to claim your 100% UP TO $1,000 FIRST DEPOSIT BONUS. Bodog.eu Poker offers excellent promotions and bonuses that will make your game more profitable and exciting. 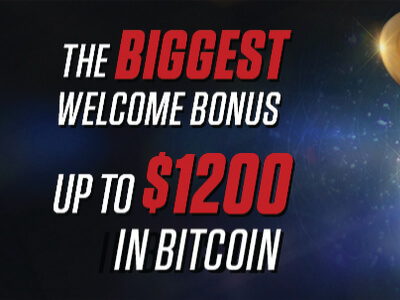 Players receive a fantastic 100% UP TO $1,000 FIRST DEPOSIT BONUS. The bonus clears very fast and you have 30 days to clear it. Your first deposit bonus will be credited to your account automatically after you have made your first deposit. 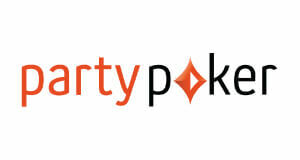 To unlock your Poker Welcome Bonus download the poker software and start earning Poker Points. Bodog.eu Poker’s rakeback is based on Poker Points. By playing real money games, you earn Poker Points that you can later exchange for cash or tournament tickets at the exchange rate of $1 per every 200 Poker Points. Bodog.eu Poker offers further promotions and you can take a look at them at their HOME PAGE. Bodog.eu Poker offers a wide range of cash game stakes as well as great SNGs that fill up in no time, but their MTTs are definitely the strong point of this online poker room. VIEW THE IN-DEPTH Bodog.eu POKER REVIEW ON TRAFFIC, SOFTWARE AND COMPETITION. The Bodog.eu Poker Mobile App enables you to play your favorite poker games on the move using your smartphone or tablet. The Bodog.eu Poker Mobile App is compatible with all Android and iOS devices. So now you can use your iPhone, iPad or an Android mobile device to play the beautiful game of poker. The best thing about the Bodog.eu Poker App is that you can access it without downloading. It is browser based which means that you can access it by simply visiting the Bodog.eu POKER WEBSITE. Bodog.eu Poker offers quite a few payment options. Most notably, Bodog.eu Poker is one of a few online poker rooms that offer Bitcoin as a payment option which is great if you like to keep your transactions as private as possible. Below you can find an overview of current and available payment options for Bodog.eu Poker. Bodog.eu Poker is a well established online poker provider with a long history of fast and secure cashouts. 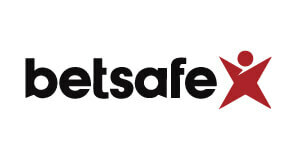 Their security software and hardware comply with the highest regulatory standards. That being said, you should not encounter any delays or issues with cashouts. 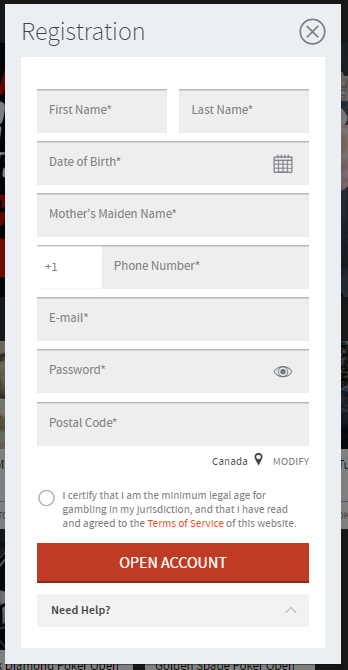 Bodog.eu Poker is eligible in the following countries: Canada. 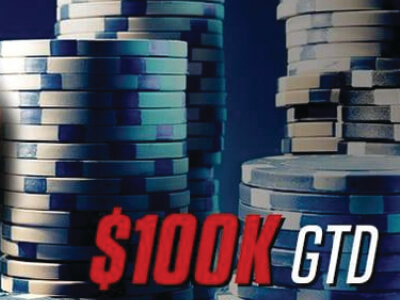 Qualify now for the $250,000 GTD Tournament on Ignition, Bodog and Bovada! 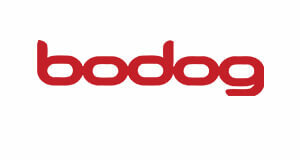 Bodog started its amazing growth in 2004. It is known as one of the biggest online poker room offering their services to US players. Bodog shares its poker liquidity with Ignition Poker which makes the traffic very stable and allows the players to find great games or tournaments any time of the day. A large part of the traffic on Bodog comes from casino games, making the games soft and juicy. High traffic, reliable and safe software, and amazing promotions make Bodog a go-to choice for many online grinders. The Bodog Company launched in 1994 as sports book. In 2004 they have added a poker room to their online casino service. Despite all their efforts, the poker room had difficulty obtaining a stable player pool. 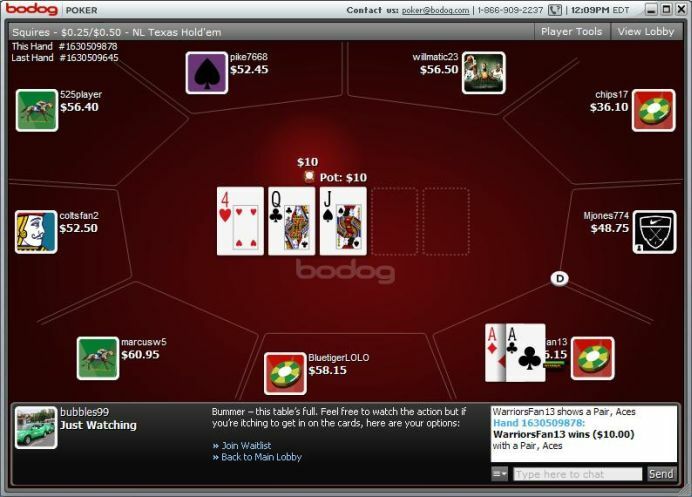 After the Unlawful Internet Gambling Enforcement Act (UIGEA) passed in the U.S., the biggest online rooms had to withdraw from the market, leaving loads of space for Bodog. 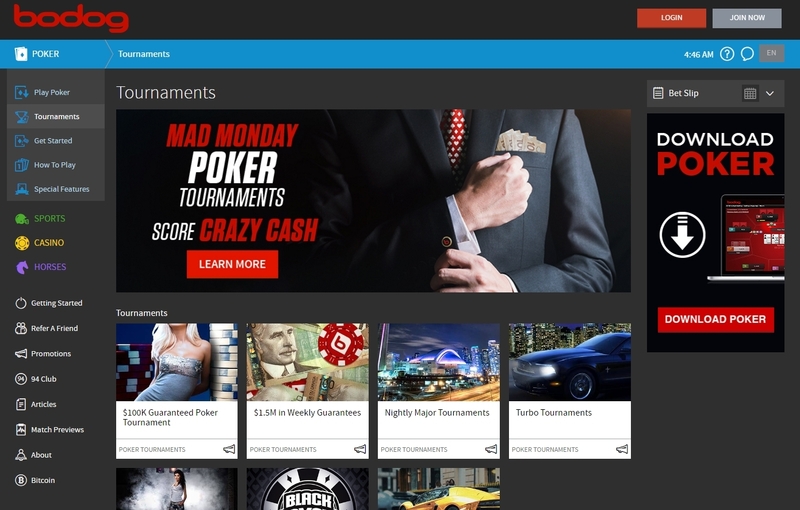 It took about a year for the Bodog Poker Network to take over the U.S. poker market. From that point forward the the Bodog Poker Network was the largest provider of online poker in the United States. 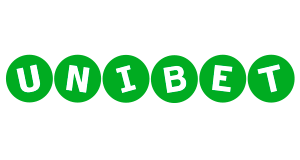 The network was recently bought and rebranded. The new owner of Bodog is an investment group PaiWangLuo from Hong Kong. Not much more is known about this company. 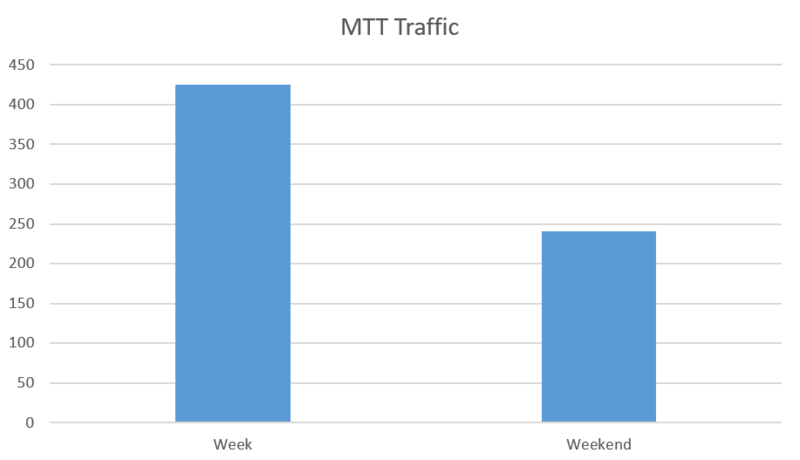 The graph above shows average and peak traffic volumes at Bodog Poker during the week and on the weekends. The numbers only account of MTT and SNG player volumes as there is no info on the cash game traffic due to Bodog Poker’s Quick Seat function. 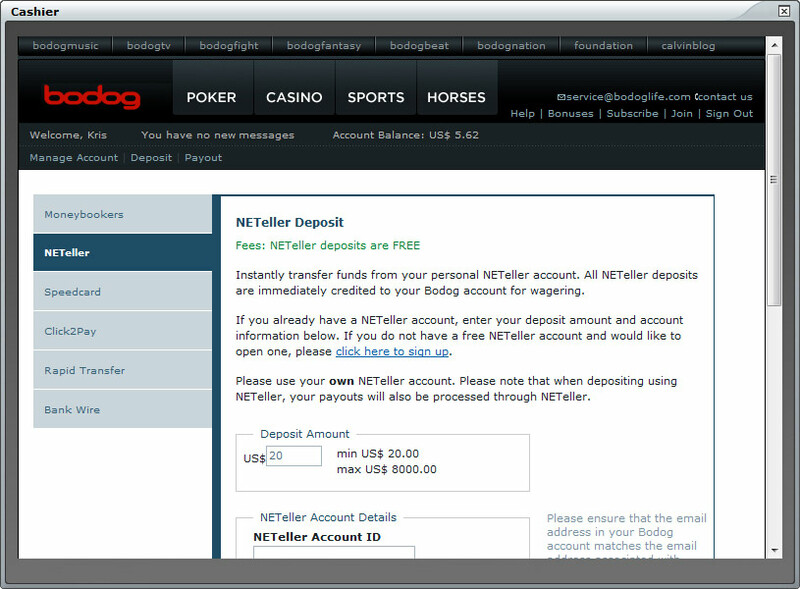 Nevertheless, Bodog Poker gets stable traffic 24/7. 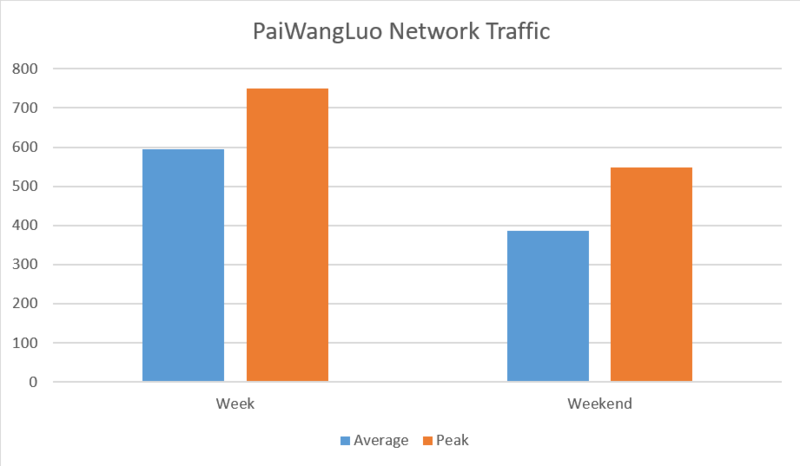 The traffic peaks in the evening hours in North American time zones and over the weekend. The account currency on Bodog Poker depends on the originating country but all games take place in USD. 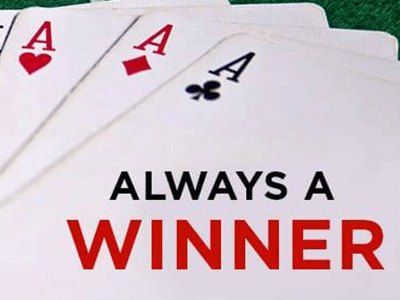 Your buy-ins are always adjusted based on exchange rate at the time of transaction. Although we cannot provide you with exact traffic data, due to the limitations of the new Bodog Poker Quick Seat function, Cash tables average over 1,000 players and peak around 4,000 cash players, so you should not have trouble finding suitable games for yourself. 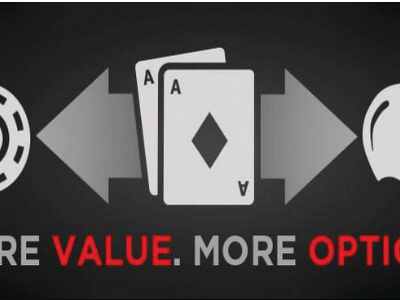 Bodog Poker offers the only fast-fold option available to US players. It is called Zone Poker and it sticks to the tried tried-and-true fast-fold concept. There is a quick-fold button that allows you to instantly move to another table. 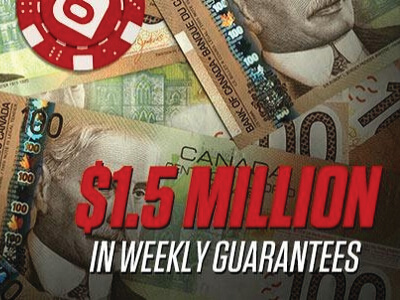 Bodog Poker’s weekly tournaments schedule offers a staggering guaranteed prize pool of $2 million. The tournament buy-ins range from $0.55 to $270. Traffic at the Bodog Poker’s tournament tables ranges from 250 to 450 players. Tournament fields are soft and small which makes for extremely profitable games. You may even witness an occasional overlay. 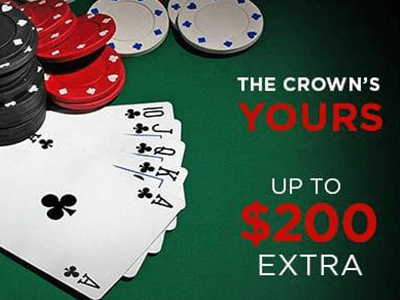 The highlight of the weekly tournament schedule at Bodog poker is the $100K Guaranteed. This is the biggest weekly tournament on the network. Bodog Poker often runs tournament series that offer huge guaranteed prize pools and attract thousands of participants. One of the most anticipated poker tournament series on Bodog is the Super Millions Poker Open. 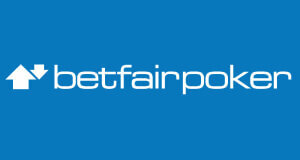 It features exciting tournaments, with buy-ins ranging from as low as $5.50 to $450. Bodog Poker is also one of the hidden gems when it comes to their SNG offering. Whether you are an experienced SNG grinder or just looking to build a roll, you will enjoy Bodog Poker’s Sit and Go selection. Heads-up SNGs are some of the most popular poker games on Bodog Poker. They run from standard speed to super turbo variants. The fastest form of poker, the Hyper SNGs, run regularly on Bodog Poker. The buy-ins range from $1.05 to $210. Bodog Poker doesn’t offer any sort of Spin & Gos or lottery Sit & Gos. Bodog is known for providing value packed freerolls with small fields and huge added prizes. 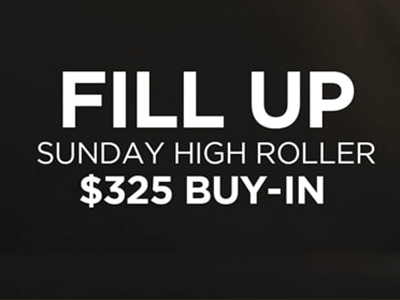 They even offer a monthly freeroll series that brings a free buy-in tourney to Bodog the first Tuesday of every month. 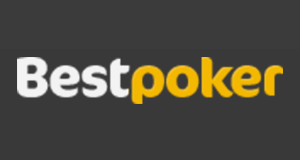 This tournament features a staggering $2,017 guarantee. There are no welcome freerolls at this time available on Bodog Poker. There are no specials and private freerolls at this time available on Bodog Poker. At Bodog Poker they are constantly working on improving their poker software and player experience. It is constantly evolving to stay up to date with the most popular features. The Bodog poker client offers great usability and reliability while staying visually appealing. It offers a wide variety of customization options, Quick Seat feature, Anonymous Tables and many other options. The Bodog Poker Software allows up to 15 cash game tables to be played at once. Tracking software and histories are not supported on Bodog which attracts a lot of fish. MTT and SNG fees are at 10% on Bodog Poker. 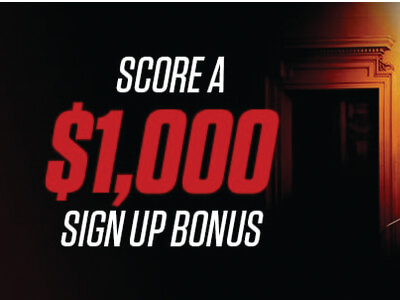 Players that open their Bodog Poker accounts through us, receive a fantastic 100% UP TO $1,000 FIRST DEPOSIT BONUS and access to a great VIP scheme and promotions. 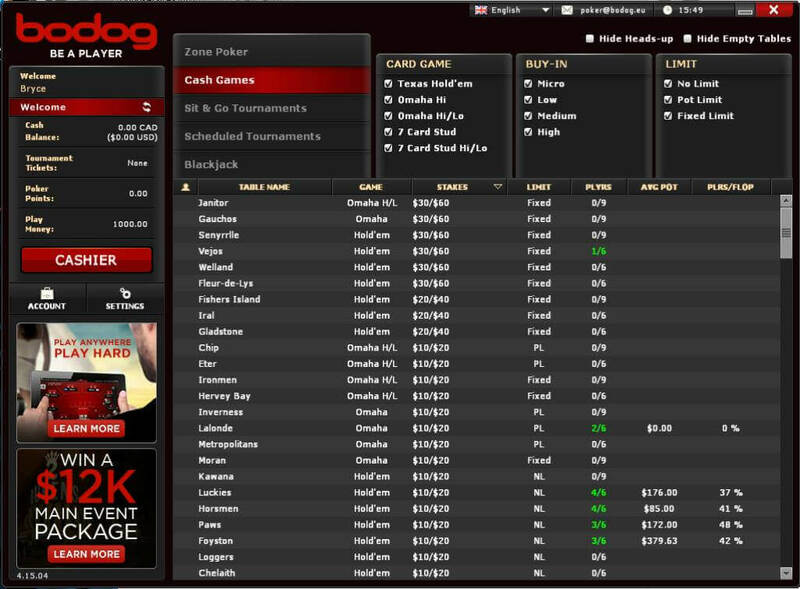 Bodog Poker is an amazing poker room that is too often overlooked by poker players looking for a new site to play on. High traffic, a stable and secure client, and soft games make Bodog an excellent choice for grinders. Additionally, they offer one of the best MTT schedules on the market, making them a go-to site for all tournament and SNG players. Super soft action! Only 4 tables and anonymous, but fishy games more than make up for that. Best option for US players fo\' sho!